Wearables are changing the way we live and they are set to revolutionize the way we consume and run our business as well. 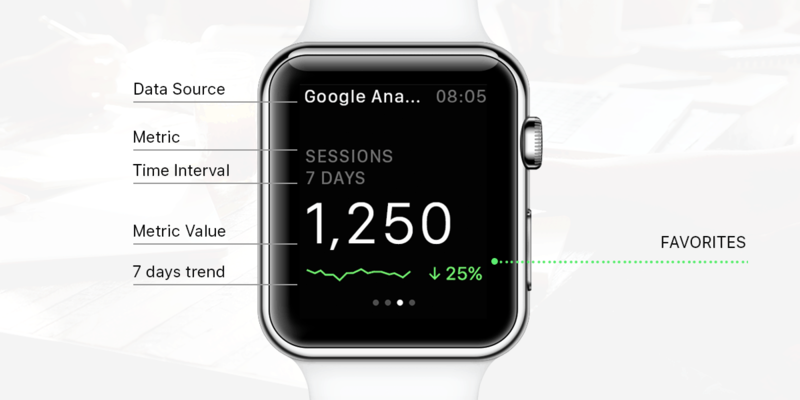 That’s why we’re proud to announce that Databox is now available for your Apple Watch. Favorite metrics, daily scorecards, weekly summary, and other useful features are just a raise of your wrist away. Apple Watch was designed for quick interactions that make the most of the display and its position on the user’s wrist. Information is quick and easy to access and dismiss. 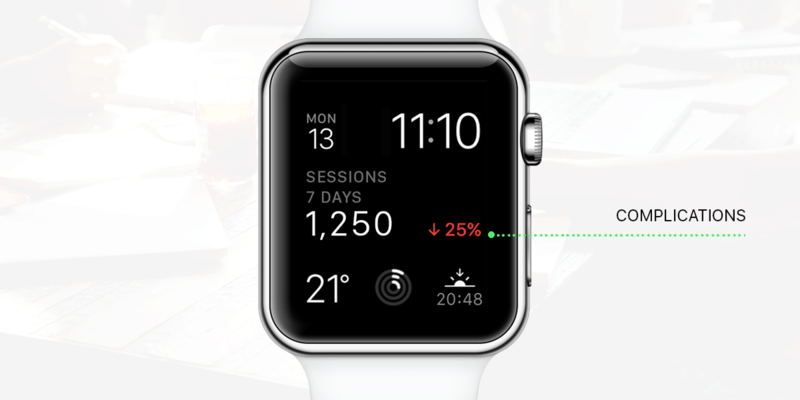 Designing a great Watch app required a focused approach and the key challenge was to provide essential information as quickly as possible. 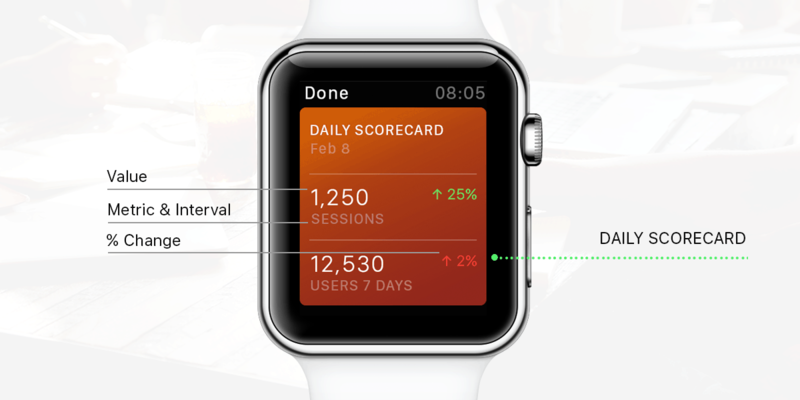 We have managed to achieve this in several ways: easy to consume watch app, daily scorecard and weekly summary notification interfaces, and a complication so you can see your most important metric in a split second. To install it, go to your watch settings, look for Databox and turn on the switch. Watch app shows metrics which you have added under favorites tab in the iOS app. You can swipe through them and each metric contains essential information which is explained on the image below. What better way to start the day than to wake up and see your favorite metrics on your phone? Well, how about wake up and see your favorite metrics without even picking up your phone? Now they are just a raise of your wrist away. Daily scorecard and weekly summary are customizable screens which pull up to 5 most important metrics and deliver them each day and once per week via a push notification. You can customize which metrics you want to see and when you want to receive them in our mobile app under Account tab in Daily Scorecard or Weekly Summary. There’s always a metric which matters to you the most. And what better way to keep track of it than to add it as a complication right to your watch face. The complication will show the first favorite visible in the watch app. To change it, reorder favorites in our mobile app (drag and drop). It will update every hour so you’re always up to date. There is also an alternative in development by our iOS department. 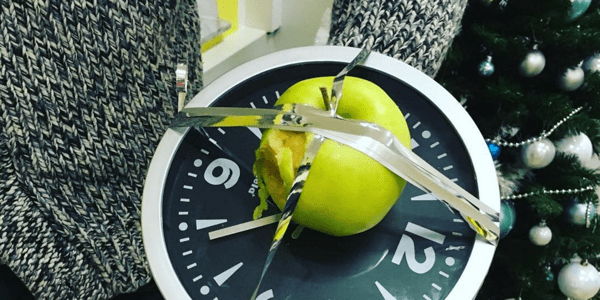 Behold the Apple Clock. It’s autonomy is amazing, charging is super easy, and it can also take care of your basic hunger needs — in real-time. It still needs some polish after which we’ll unveil it to the rest of the world. Sign up and try it out for yourself. Jan Haložan is lead iOS engineer at Databox. Also passionate about AI, iOS under the hood, electronics and just about everything else related to science.